The breadth of the market favoured declines, with 779 stocks advancing, 910 declining and 368 remaining unchanged. On BSE, 1067 stocks advanced, 1367 declined and 153 remained unchanged. The Indian benchmark indices continues to remain weak with the Nifty50 down 38 points, trading at 10,086 while the Sensex shed 130 points at 33,559. The auto index is up half a percent led by Tata Motors, Hero MotoCorp, Bajaj Auto, MRF, Ashok Leyland and TVS Motor among others. From the oil & gas space, Reliance Industries is up 1 percent while GAIL India is the other gainer. Nifty IT is down over 1 percent dragged by HCL Tech, Infosys, TCS, Infibeam and Mindtree. From the BSE smallcap space, the top gainers are Raymond, DISH TV and Mercator while the top losers include Equitas Holdings which tanked 27 percent followed by Ujjivan Financial and GMDC. From the BSE midcap space, the top gainers include Edelweiss Financial, IIFL Holdings, CONCOR and Godrej Properties. The top losers are NBCC, Reliance Capital, Apollo Hospitals and Union Bank. The top gainers from NSE include Tata Motors, Titan Company, Titan Bajaj Auto, Reliance Industries and Tata Steel. The top losers include YES Bank, HCL Tech, JSW Steel, Zee Entertainment, ITC and Grasim Industries. The most active stocks are YES Bank, Indiabulls Housing Finance, Bajaj Finance, ICICI Bank and Reliance Industries. 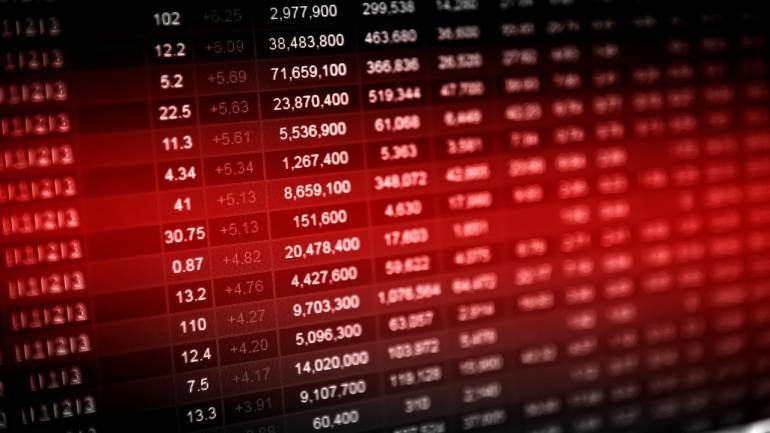 204 stocks have hit new 52-week low including names like 8K Miles Software Services, Aban Offshore, Bajaj Corp, BEML, Bombay Dyeing, CEAT, Crompton Greaves Consumer Electricals, Edelweiss Financial, Equitas Holdings, Grasim Industries, Indiabulls Real Estate, India Cements, Infibeam Avenues, JK Cement, Jaiprakash Associates, Maruti Suzuki, NBCC, NCC and Ujjivan Financial among others.